We know that computers understand programming languages but how about making them understand human language, the language that you and me speak? 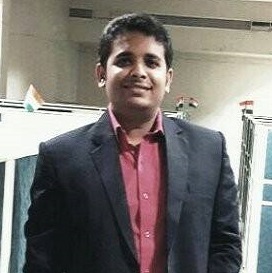 Natural Language Processing (NLP) is a field of study that makes this possible, as it focuses on enabling computers to analyse, understand and derive meaning from human language in order to perform a large number of tasks. While the advancements in the field of NLP have taken it to an all-new level, NLP has been around for quite sometime now. It all started in the 1950s, with the first NLP application being the one designed for machine translation from Russian to English. 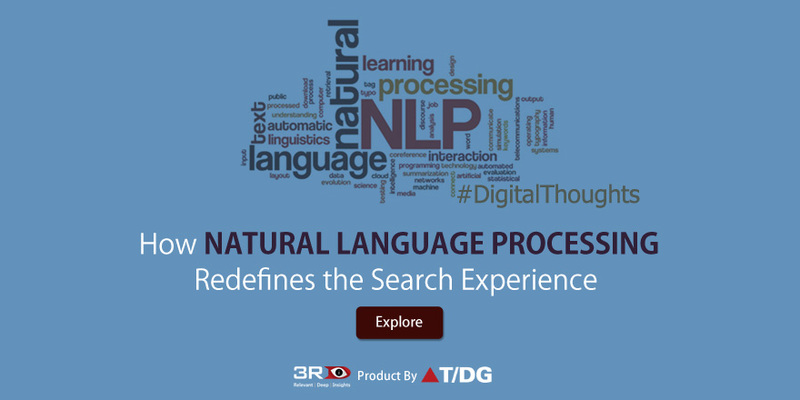 Today, NLP has come a long way and is all set to redefine the search experience! For starters, Google Search and Siri are some popular examples of machines that respond to clearly spoken voice commands. Have you ever experienced how Google Search sometimes shows search results in a featured snippet box at the top of the page when you ask a question? The information in the featured snippet box includes a summary of the answers to the question as extracted from a website, followed by the title of the website and the URL. Here’s how a featured snippet box looks like. That’s the magic of NLP at work! 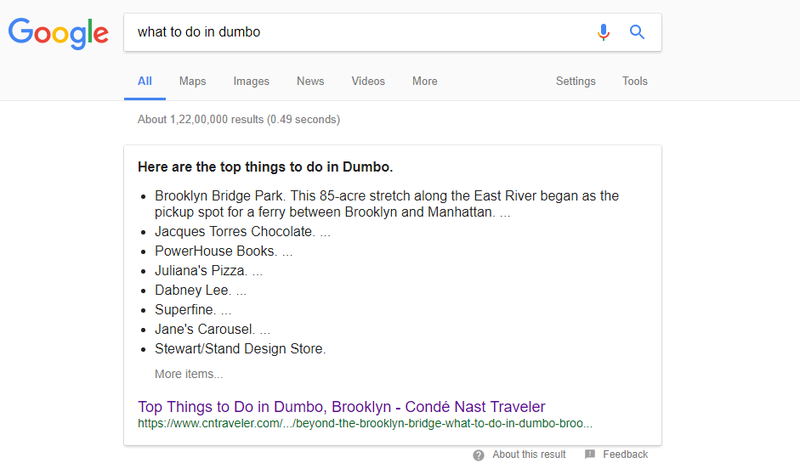 When Google recognizes that a query has asked a question, Google algorithms use NLP techniques to detect pages that answer the user's question, and display a top result as a featured snippet in the search results. Natural language processing can identify, extract, analyse and utilise certain patterns in stored data and this is made possible through the application of Artificial Intelligence (AI). NLP algorithms work to read or listen to information in human languages, interpret its meaning in terms of computer or machine language, find out the desired results and then translate it back to the human language before presenting it to the user. Interestingly, your experience with NLP gets better with every other time you interact with it. This is because the NLP algorithms gradually pick up patterns in our language – the phrases we use the most often, the colloquial or informal words that form a part of the language and similar nuances. Search, as we know it, has been redefined with the advancements in the field of NLP and AI and this has had the biggest impact on medical search and enterprise search, among others. With the enormous amount of medical data, health records, statistics, and research data, a medical professional or a medical researcher is often overwhelmed at the thought of sifting through so much information. Thanks to NLP, search has become simpler than one could ever imagine. What’s more, the application of NLP is no more limited to academics and there are multitudes of production deployment and the numbers are growing fast. The fact that you can find precise results at the click of a button without having to rephrase your query repeatedly or browse through pages of search results,has made life easy for medical professionals and medical researchers alike. With the emergence of new Enterprise Search tools powered by NLP, enterprises now find it easy to discover the information hidden inside their data and use it to the best advantage in making major business decisions. NLP has added an all new meaning and significance to Big Data, what with the priceless information that was hitherto hidden under heaps of data is now available for analysis, thanks to NLP! So, search tools powered by NLP have literally empowered Big Data. As NLP makes it easier for computers to comprehend our ambiguous language, the easier it gets to make sense of the unsurmountable amount of unstructured data. Throughout the years, it has been a challenge to implement NLP because computers have traditionally been designed to interact with humans through programming languages. Human languages can be ambiguous and this has always proved to be a major setback to the successful implementation of intuitive search. After all, how was a computer supposed to make sense out of broken sentences? However, with the continuous improvements in the field of NLP and AI, the future holds endless possibilities.